It’s been a while since we got an update on Rainway, the app that promised quick and easy streaming of PC games on all kinds of devices from Xbox One to PlayStation 4, Nintendo Switch and obviously smartphones/tablets. Today, we got a brand new trailer (embedded below) as well as the confirmation that the app will be available in Open Beta starting on January 20th for web browsers and Android devices. Here’s a demonstration of how easy it is to set up Rainway. Simple to use. Pain free setup. Game streaming as it should be. To enable remote play at 1080p@60fps, the developers recommend 12mbps of upload. This will depend on how you configure your stream. For remote play at 1080@60 we do recommend 12Mbps upload. Rainway will always be completely free to use with no hidden cost. You can stream all your games, whenever you want, wherever you are, for as long as you want. You don’t need to type in an IP or forward ports. Rainway handles all of this for you. Play your game remotely on fully secured channels instantly. 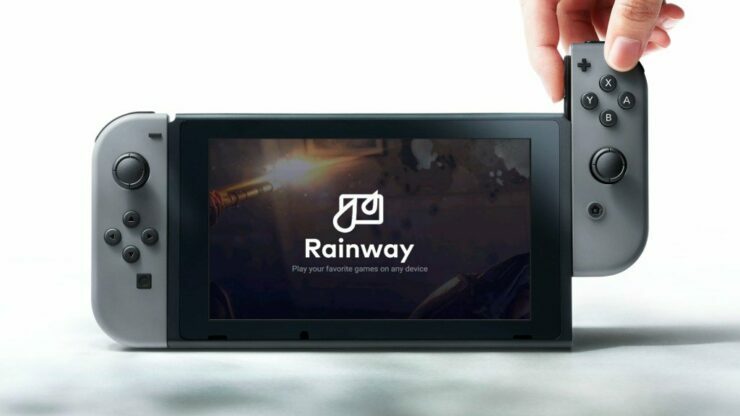 Rainway works on all modern hardware. Intel, AMD, and Nvidia are all supported out of the box. You can play via the browser or via our many native applications. Designed with speed in mind, Rainway is tuned to avoid impacting the performance of your game. Enjoy 60FPS streams with super low-latency gameplay. There’s an overlay screenshot tool for you to take screenshots of your best gaming moments to share with friends, on social media, and upload them to Rainway’s cloud imaging server. You can customize the stream settings to fit your needs. Control the frame rate, resolution and bit rate of your stream. You can even upscale and downscale any game.